CoinCheckup is an interesting website that can help you get more insight into a crypto currency than just the basic info or ratings based on current market capitalization. 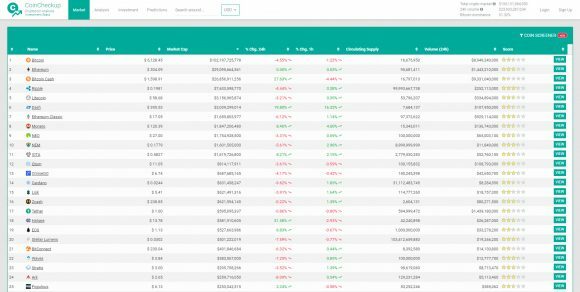 Currently the website lists 430 crypto coins giving you an easy to follow coin market capitalization list, but you also get more insight thanks to fundamental analysis and investment analysis options that you also have available. The website even does some price predictions based on the markets growth patterns that may be useful when researching a crypto coin that you are not familiar with. All of the information is available to you in a clean and easy to use interface, so you might want to check out the CoinCheckup website.